Want to play some games ? Samsung Galaxy Note Edge gives you the option to play some amazing ones with its built-in graphic processing unit to give the ultimate gaming experience. Motorola Nexus 6 mobile also offers the ability to have amazing gaming experience like Samsung Galaxy Note Edge with its built-in graphic processing unit. Motorola Nexus 6 has 6.4 % bigger screen than Samsung Galaxy Note Edge Experiencing movies, videos and books is ultimate fun on larger screen sizes. Samsung Galaxy Note Edge has approximately 11.1 % more number of pixels than Motorola Nexus 6.More number of pixels ensures the picture taken to be more sharper. Samsung Galaxy Note Edge has NFC. NFC stands for Near Field Communication. With NFC you can make payments using your mobile or transfer data between two mobiles just by touching them. Motorola Nexus 6 is equally good as Samsung Galaxy Note Edge as this mobile also has NFC support. Motorola Nexus 6 has DLNA. DLNA enables easy sharing of music, photos, and videos over wifi. Stream your videos from the phone to the TV over Wi-fi. Motorola Nexus 6 is equally good as Samsung Galaxy Note Edge in terms of RAM availability. 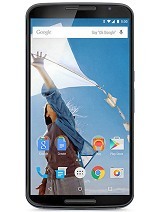 Motorola Nexus 6 is equally good as Samsung Galaxy Note Edge in terms of internal storage capacity. Samsung Galaxy Note Edge has 23.1 % more MP rear camera than Motorola Nexus 6. More MP is expected to have better image quality. 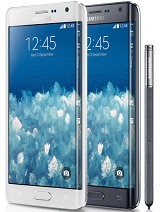 Samsung Galaxy Note Edge has front camera. A front camera allows you to have video chat with your nears and dears. Motorola Nexus 6 has front camera. A front camera allows you to have video chat with your nears and dears. Motorola Nexus 6 has 7.3 % more battery capacity than Samsung Galaxy Note Edge . More capacity simply means you can continue for long time without charging. Motorola Nexus 6 has 33.3 % more talk time than Samsung Galaxy Note Edge . This is one of the most important parameter as its the primary function of your phone. It gives the estimate of number of hours you can talk continuously. Log in or Sign Up with one click login! © Bidon Services Private Limited. All rights reserved.